What Income is Included in the Chapter 7 Means Test? Reforms made to the bankruptcy code in 2005 made it harder for consumers to file for Chapter 7 liquidation. In a Chapter 7, most consumers can completely wipe out (or “discharge”) their unsecured debts like personal loans, medical debt, and credit card debt. This is a terrific benefit for indebted consumers, so the banking industry worked aggressively to tighten up eligibility for Chapter 7. To qualify, you now must pass a means test that looks at your income. Your income is below the median for your state for a family of your size. For example, if the median income for a family of four is $45,000, then you immediately pass the means test if your income is below this amount. If you are above, you can still pass by comparing your income to your outstanding expenses. This is a trickier way to qualify, so you should consult with an attorney to crunch the numbers and see if you qualify. If you don’t pass the means test, you will need to file a different bankruptcy, such as Chapter 13 or Chapter 11, or you might not file for bankruptcy protection at all. So What Income is Included? You must calculate your current monthly income by adding up the income for the past six months and dividing by six. You do not need to include any income received under the Social Security Act, such as social security retirement payments, Supplemental Security Income (SSI), Social Security Disability benefits, or Temporary Assistance to Needy Families (TANF). Not everyone works a 9-5 job and draws a regular paycheck monthly or biweekly. For example, you might have received a giant commission recently, or you might own a seasonal business. In these situations, you can experience a one-time boost to your income that will not be repeated in the future. What happens if you get this bonus, commission, or income right before you want to file for bankruptcy? 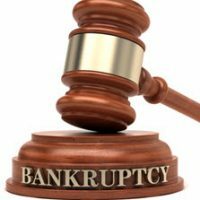 The good news is that you might qualify for bankruptcy, even with this sudden income increase, so you should meet with an experienced attorney to review your options. Nowack & Olson is the “go to” firm in South Florida for consumers and small businesses considering bankruptcy. You can meet with one of our bankruptcy attorneys in Doral, Jupiter, Boca Raton, or Plantation by contacting us today.